This is a fascinating trilogy that involves virtual reality video games and the possibility that the game can be used as a portal into the fairy realm. The story is set near the present, but much of the technology is more advanced than what we currently use. Jennet's father is a project manager at a high tech gaming company. Currently, his main project is Feyland. By placing the VR helmet on, you become a character, of your choosing, in the land of the Fae. The game takes you on quests that guide you to the Fairy Court. You Meet interesting characters on your way. The deeper you go into the game, the more ominous it seems. Jennet has always been a good gamer, but this game feels different. She actually feels an effect swirl through her body when she enters the game? Why is this different from the other games? It almost feels real? Is it? Could it? After her last encounter in the game, when she finally got to the last quest, she failed. There was a wager. The payment actually seemed to affect her outside the game. Why? How? This trilogy will take you on a journey that seems to be on the outside of reality. Fiction, right? Perhaps? 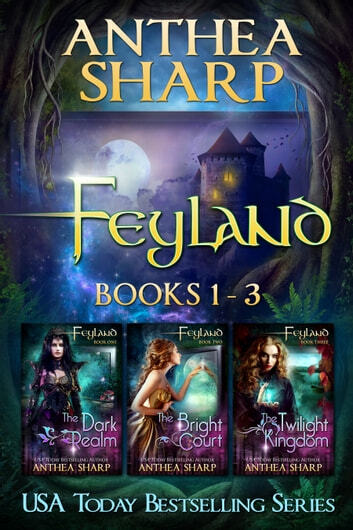 I would recommend this trilogy to anyone who likes Fantasy, Magic, stories of the Fae Realm and anyone who likes to play video games especially virtual reality and role play. Absolutely spellbinding. I couldn't put it down! I am in love with each and every one of these characters, and can't wait to read more about them. This a great read for any fantasy reader, especially the young at heart who may wonder how human technology may reveal the reality of the tales of yore. Wonderfully written. Couldn't stop reading, not just for YA, I'm in my 60s and loved it. Thank you! I enjoyed all the books, and will read it again. The cast are well rounded, the plot keeps your interest and the story is easy to follow, but not ov erly predictable.